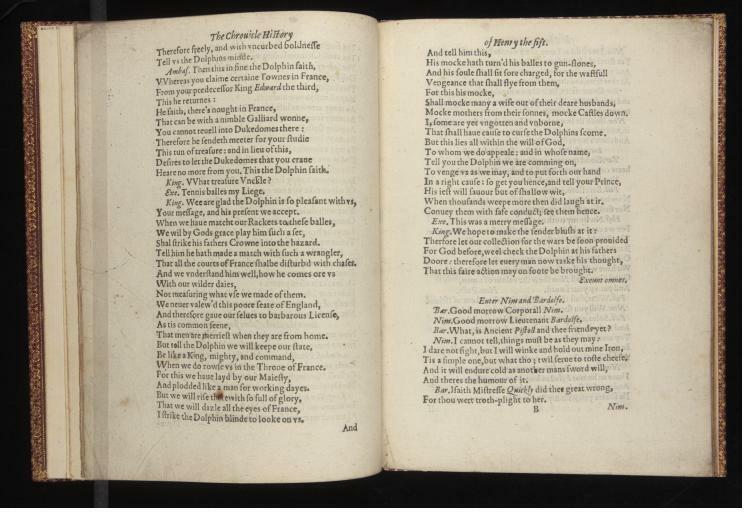 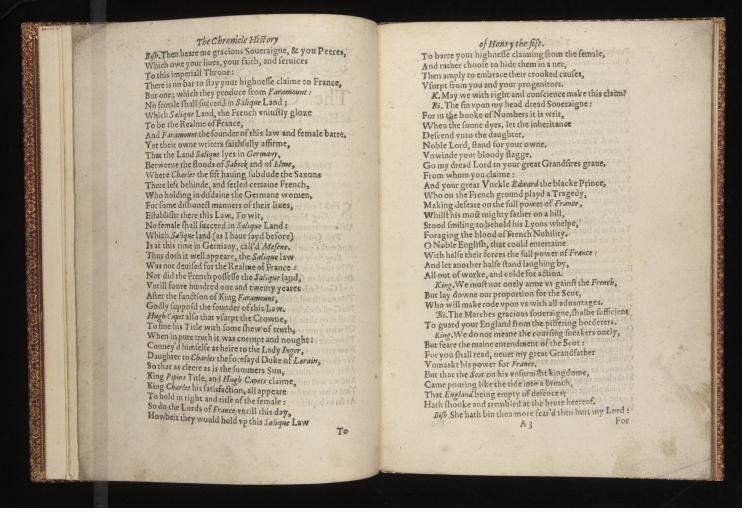 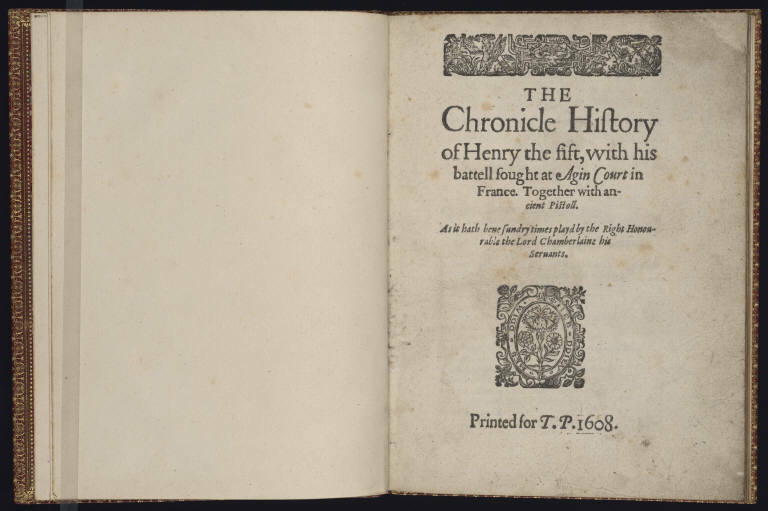 Thomas Pavier’s quarto of Henry V, printed in 1619 but accorded the false date of 1608, was the third edition of Shakespeare’s history play to reach the book stalls, and it shares with those earlier copies various discrepancies from the Folio edition of the play. 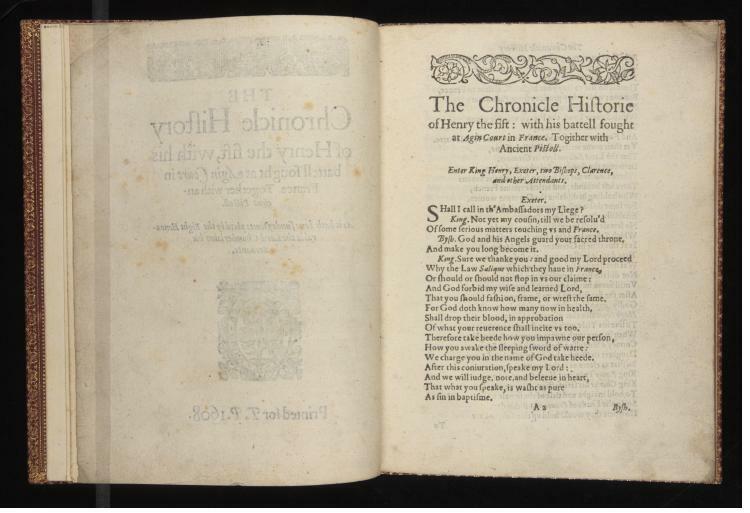 As with the first quarto of Hamlet, these various editions have earned a sort of “bad quarto” status thanks to the ways the diverge from the history play we tend to read today; but across these editions, the differences are rather slight, since the quartos, including Pavier’s, tended to be issued as reprints of one another. There is much that such continuity across the quartos might suggest to us, but it seems worth pointing out here the ways that earlier stand-alone editions of the play set an important precedent for Pavier’s aborted collection, allowing a “collection” even to be imagined in the first place.